Lowdown: A thousand song recommendations spanning past decades. In this age of the Internet, the online and the tablet, what good is a paper book? This philosophical argument is often used by people praising ebooks' ease of use when they debate conservatives holding out for good old paper books sold in good old bookshops. Who’s right? 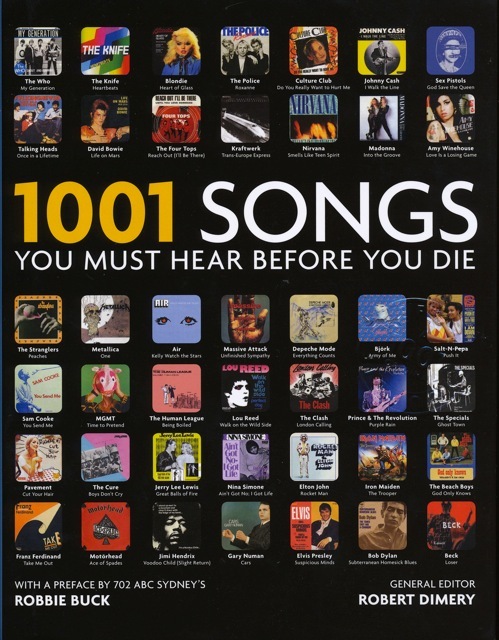 A book called 1001 Songs You Must Hear Before You Die, recently borrowed from the library, helped me arrive at my own conclusion. As books go, 1001 Songs is clearly one that is not meant to be read, at least not cover to cover. It’s more like a coffee table book, intended to be browsed until some catchy graphic holds your attention. Essentially, what you get here is one heavy thick pile of pages recounting song recommendations dating back from before the fifties to our current decade. Each song gets a bit of a spill, some more than others; recommendations range through languages and style; and that’s pretty much it. While I cannot claim to have read it all, it seems obvious no significant enlightenment can come from the text. The main event is the song recommendations. 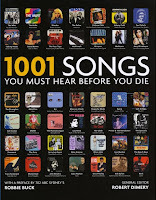 In essence, 1001 songs provides its reader with a 1001 songs long playlist. Which is exactly where the question of relevancy in this day and age of the Internet comes from, and exactly why the existence of a book such as this tells us more about the conflict between the pre-Internet generation and those born into the Internet. Do we really need a book recommending us with music when playlists recommendations are shoved in our face constantly by Spotify, iTunes, apps, websites, and goddess knows what else? Do we really need a book to shed some light on the story behind some song when we can simply run a Wikipedia search? And most importantly, in this age where I can acquire the exact same information from Spotify, plus have that slightly more important ability to actually listen to the music while at it, what good is this book? What justification does it have to exist in the first place? It doesn’t. Yet when I actually went to listen to some of the recommended songs on Spotify, I encountered numerous moments of glory along the lines of “oh, so this is the song I liked but could never identify!”. Many such numerous moments of glory. I will therefore ask again. Is there justification for 1001 Songs to exist? Yes, because most of the musical facilities at my disposal require me to pull references from them, and often enough I don’t know what to pull at; a book such as 1001 Songs solves the problem by pushing the music at me, graphics and text included. Nowhere was the point made clearer than with rap music recommendations, given the genre seemed to have completely ignored me. However, can a book like this be replaced by an online playlist with some added graphics and bonuses? Sure as hell. Back to square one? Don’t think so. Not really. 1001 Songs has the potential to be nice, but seriously – its days, and the days of the paper book, are numbered. Overall: Nice to reference, and even nicer as a philosophical exercise. I’ll give it 3 out of 5 stars, but be warned: it’s not the contents that counts in 1001 Songs, it’s the concept.